The following players have been inducted into our Hall of Fame and their jersey numbers retired in recognition for their career on and off court with the club. Without doubt when The Eagles hierarchy decided to have a ‘Hall of Fame’ there was no doubt in anyone’s mind that knew anything about the club that the # 1 member to receive that honour would be Tirone Jerome Walker or, T J as he was always known. Born on the 14th September 1975 in Long Beach, California, T J spent two stellar years at Azusa Pacific University in the NAIA from 1997 – 1999 where he earned All-American honours both years. His first job in the professional ranks saw him play for the Saskatchewan Hawks in the International Basketball Association in 1999 – 2000. 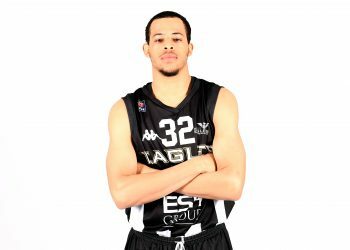 In the summer of 2000 he caught the eye of the then Eagles coach Tony Garbelotto as part of a touring American side in Germany and Garbelotto recognised the potential of T J to lead a team and fit in with the requirements of The BBL. It is no secret that T J struggled early on in his first season, 2000 – 01, in The BBL and came perilously close to being cut. T J returned to Newcastle for the next six seasons and became the premier point guard in The BBL and very much the man that all subsequent Eagles’ point guards were, would and always will be measured against. The complete team leader and on-call play-caller he became Eagles Captain and very much Fab Flournoy’s go-to-guy as The Eagles began their climb towards national prominence. Flournoy described T J as ‘a warrior and a man that I’d want alongside me in the trenches’. Renowned for his toughness and hard-nosed attitude, T J never took a backward step, never shirked a defensive assignment and was never afraid to take a clutch shot. 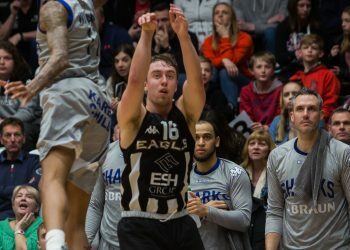 He led The BBL in assists in each of his last three seasons at The Eagles, 2004/05, 05/06 and 06/07 and was a double-figure scorer in all his 7 seasons on Tyneside. Perhaps one of his greatest attributes often overlooked was his rebounding ability. In his time at Newcastle he averaged well over 5 rebounds a game. Upon leaving the Eagles after the 2006/07 season he briefly moved to Chester Jets as Player/Coach in 2007/08 but things didn’t quite work out for him there and he returned to his native California and now resides in Modesto. T J always had a yearning for coaching particularly at youth level and 2013 will see him start a new chapter in his basketball career as Head Varsity Boys Coach at ExcelAcademy and those that know him just know it’ll not be a surprise if he’s a success. T J or ‘The Daddy’ as he was affectionately known will always have a place as an honorary Geordie in the hearts of The Eagles fans. Such was the feeling of the club for all T J brought to the organisation and the contribution he made to the start of the Eagles success that he had the honour of his #5 jersey being retired for all-time from The Eagles roster. After four seasons at Temple University in Philadelphia from 1994 – 1998 the 6’ 8” power forward began life as a professional in China before bouncing through the Czech Republic, Israel, Dominican Republic and The IBA until in 2001 he signed for Sheffield Sharks in The BBL. After three great years with the Sharks were he won two play-off titles, a league championship, a Cup Final and was voted to the BBL All-Star side on two occasions he left in 2004 to spend two seasons with the London Towers again being voted on The All-Star Team in 05/06 before heading across the channel to Bree in Belgium to play under his ex-Sharks coach Chris Finch. 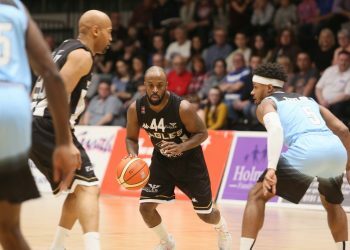 In the summer of 2007 though Fab Flournoy finally ‘got his man’ and he returned to The BBL to join Fab’s revolution and became a lynch-pin of Flournoy’s philosophies and plans as he helped The Eagles become the dominant force in British basketball. 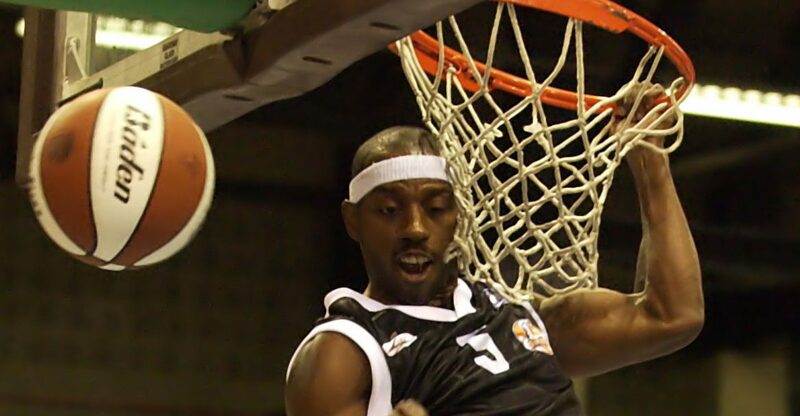 In his first season with the Eagles in 2007/08 Newcastle won the league and Lynard was voted The BBL’s MVP for that campaign as well as once again making the All-Star Team. He came back the following season to help his side lift The Championship again and added the Trophy and Play-Off wins as well. His final season in Newcastle in 09/10 he helped the Eagles win their third consecutive Championship as well as the Trophy giving him six winners’ medals in his three seasons on Tyneside. Lynard was a real student of the game and a born leader. On court he dominated in the paint at both ends with superb footwork and whilst his defensive prowess and excellent rebounding ability were the prime assets he brought to the court he was no slouch when it came to scoring too. A regular double-double contributor he was a tough ask for any forward to defend and able to defend anyone put in front of him. Flournoy once described him as ‘the perfect BBL centre’ and as a player ‘I wanted to sign from the first moment I saw him’. He may have come to Newcastle late in his career but in the three seasons he was there he showed a tremendous appreciation of what the Eagles organisation was all about and fitted seamlessly in to ‘the Family’. Since retiring from the game he’s made the almost inevitable step in to coaching and is now Head Men’s Basketball Coach at the prestigious William Penn Charter School in Philadelphia.